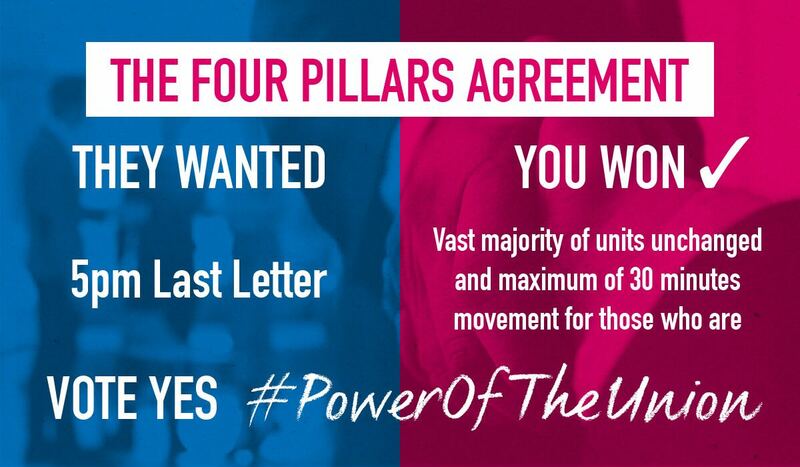 You will shortly receive, in the post, your ballot paper on whether to accept or reject the recently negotiated Pay & 4 Pillars National Agreement. The ballot will close on Wednesday 28th March 2018. Your Branch Officials have considered the Pay & 4 Pillars proposed agreement and are recommending that you vote YES to accept it. 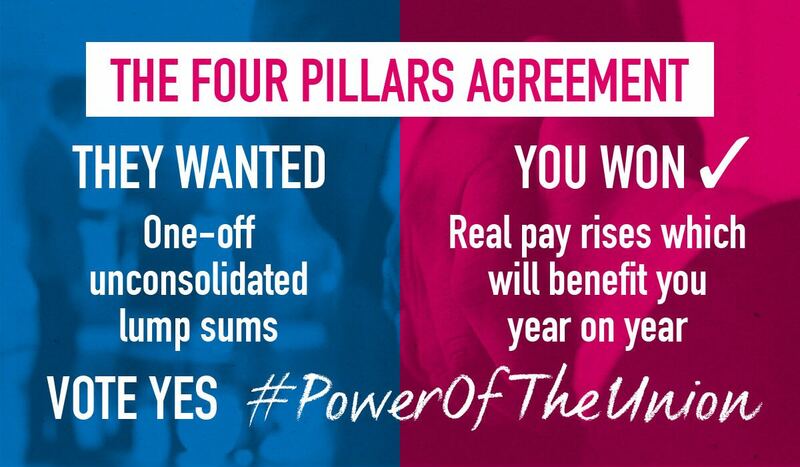 A 5% pay increase has been achieved, backdated to October 2017 across pay, overtime and allowances. With a further 2% increase from April 2019. The next pay review date will be 1st April 2020. An hour off the working week for full-time members to be introduced from October this year with further reduction of 1 hour in October 2019, then to a 35 hour gross (including paid meal reliefs) working week by 2022. This will also automatically generate a pay increase and an hourly rate increase for ALL part-time duty holder’s in those units when the SWW elements are introduced. A new type of Pension scheme has been developed based on the CWUs proposals. At present, if you joined the business after 2008 you were enrolled into an inferior ‘defined contributions’ scheme. 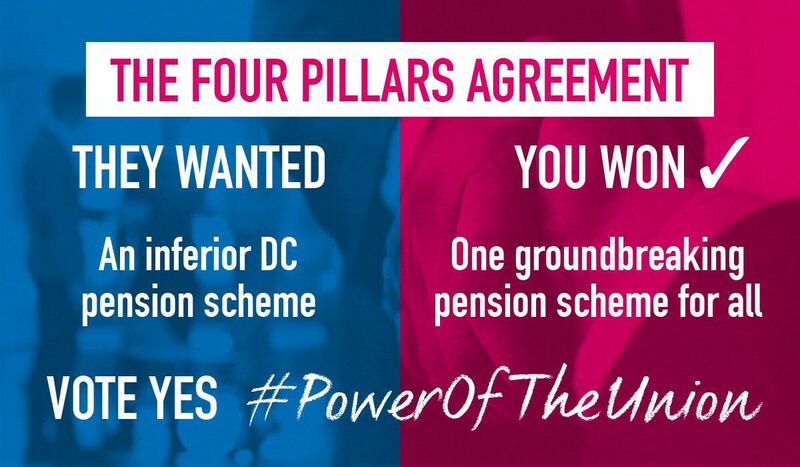 Now, ALL members will be in the SAME superior pension scheme compared to the defined contribution scheme once secondary legislation has been passed by Government. The employer wanted to move the whole operation back by several hours (last letter in towns & cities on delivery around 5pm-6pm – even later in the rural section) on the back of mail Later Acceptance Times (LATs) being introduced at Mail Centres. This would affect everyone. Later Acceptance Times (LATs) will be introduced. However, after extensive joint research by CWUHQ & the business on every unit, it has been identified that this will only effect a small number of units with a potential of moving start / finish times back by around 30 minutes. The information regarding the affected units is already in the hands of Divisional Reps & Delivery Directors, so if you haven’t heard anything about your office the likelihood is that it will NOT be affected. 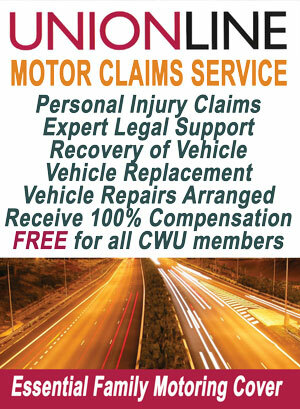 The employer wanted to introduce trials / pilots without CWU involvement below National level. These would last for a maximum of 90 days and if the employer thought that they were successful, they would roll-out the new processes without CWU involvement. ALL trials / pilots will be undertaken on the same basis as currently exists. 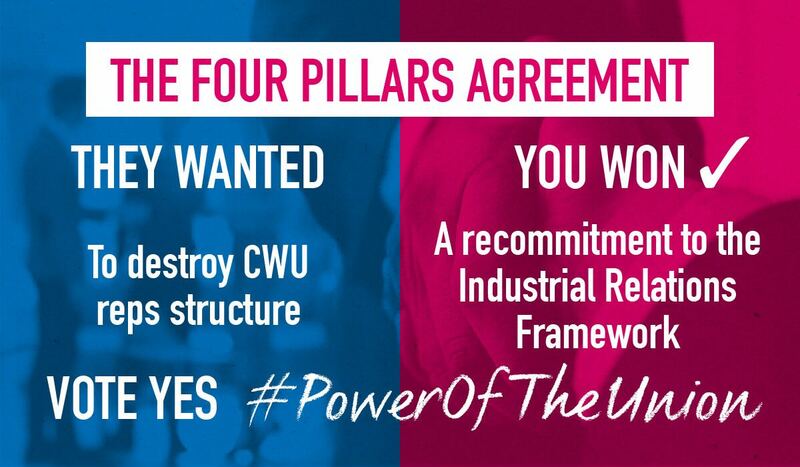 Involvement of the CWU at ALL levels & with the relevant safeguards built into any terms of reference or agreement. This will also include developing a new approach to any trials / pilots on capturing data for PDA actuals, other data and technology. 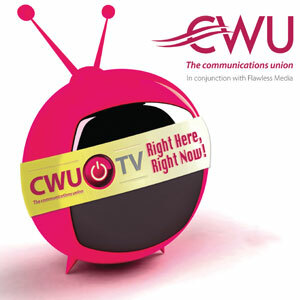 The employer wanted to remove a huge number of CWU Representatives so that there was no interface with managers or representation of members between Unit & National level. The employer has now accepted that the existing interface levels are to remain as currently exists. The employer wanted to introduce vastly inferior terms & conditions for pay, sick pay & annual leave for new starters. All new starters will join the business on the same basis as currently occurs. The employer wanted to introduce a much harsher system than the current one, whereby any attendance stage triggered, would result in a stage warning being issued automatically – regardless of any mitigation. There would be NO representation at any stage of the Attendance Procedure. The existing terms of the Attendance procedure will remain in place. However, we have jointly committed to a review of this procedure. The aim of the review will be to ensure a fair & consistent approach to dealing with attendance, to understand the rationale for the variations in attendance levels and to provide the ability to take ‘odd’ days leave at short notice. Additional to the above, as stated by Terry Pullinger (DGSP) the employer has committed to driving out Bullying & Harassment by management in the workplace. It won’t happen overnight & will be a joint approach. It will take some time as we believe some managers are incapable of change. That said, if you are aware of bullying & harassment or are on the end of it in your workplace – this needs to be challenged, either by yourself or by using your local Rep or Branch Officials. 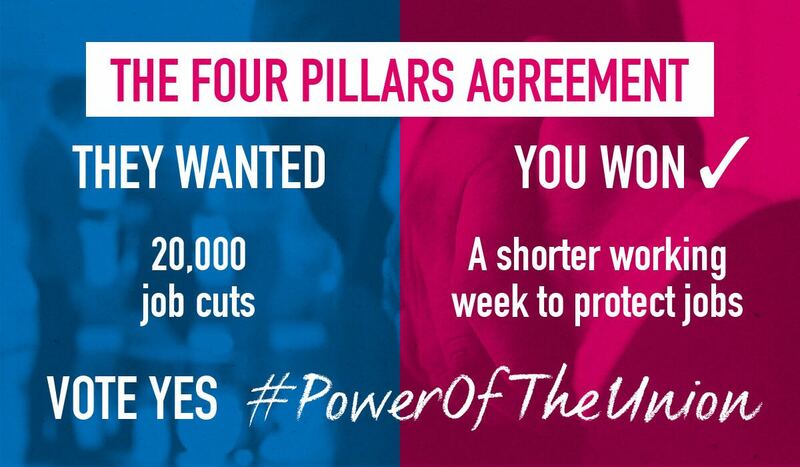 We will see just how committed the employer is to this element of the agreement when issues are raised. 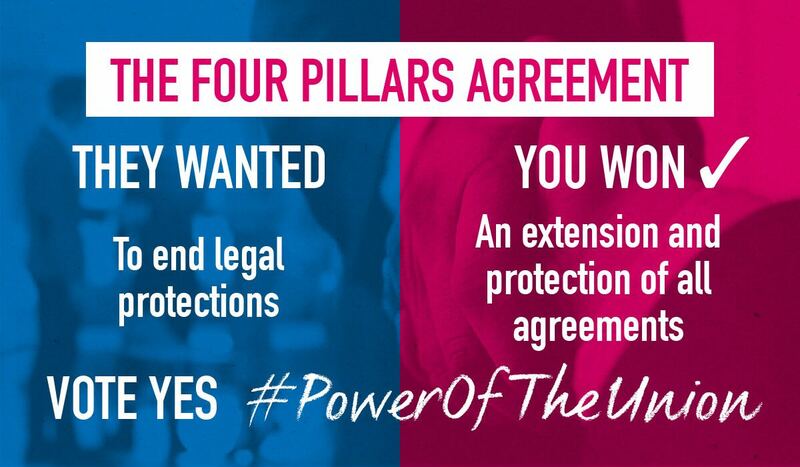 Given all of the above, your Branch has no hesitation in recommending acceptance of the proposed agreement.